It has been raining on an off everyday for almost 10 days and there is more rain forecast for the next 5 days. Suffice to say our area of North Carolina is now out of drought and everything is very green. 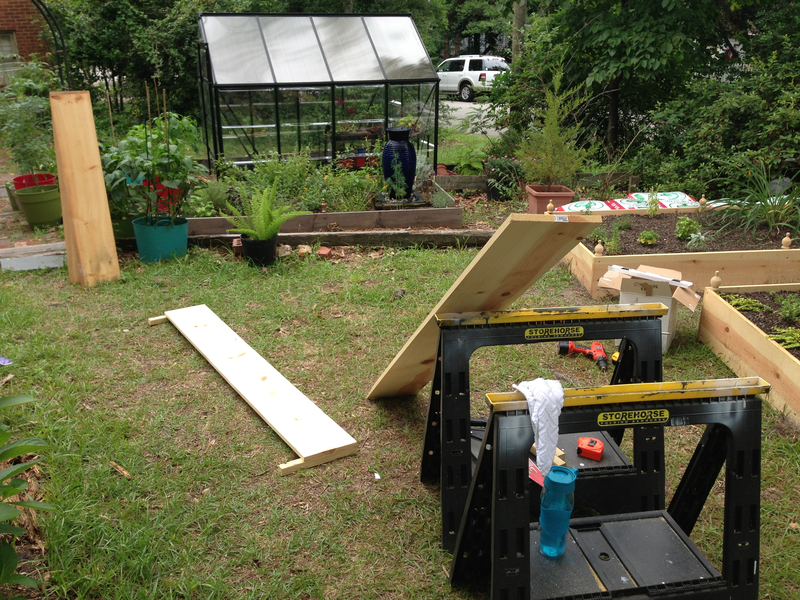 This past weekend in between the rain cycles I finished work on the sixth raised bed. It was nice to have it finished. Soil and plants added. Fini! 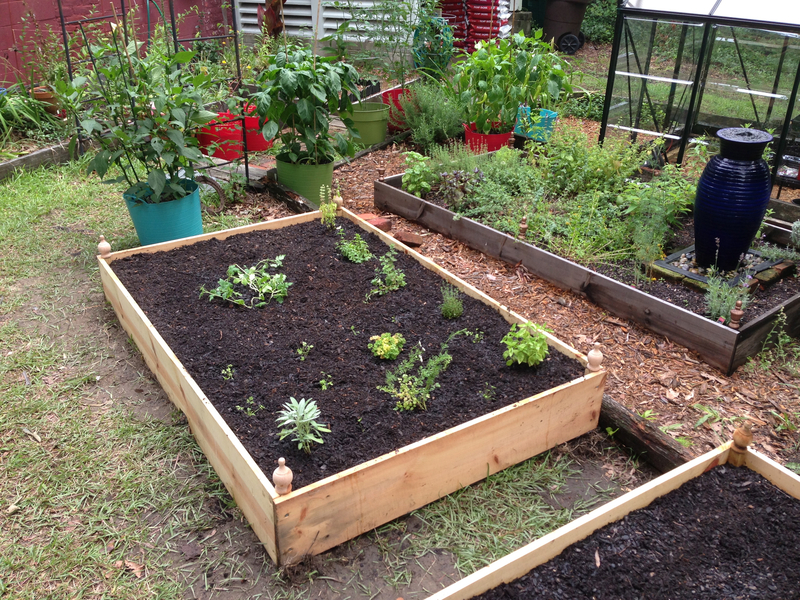 Currently I placed the excess herbs we have as well as watermelon and carrots in the new raised bed. The ultimate plan is to use the bed for ornamental plants. 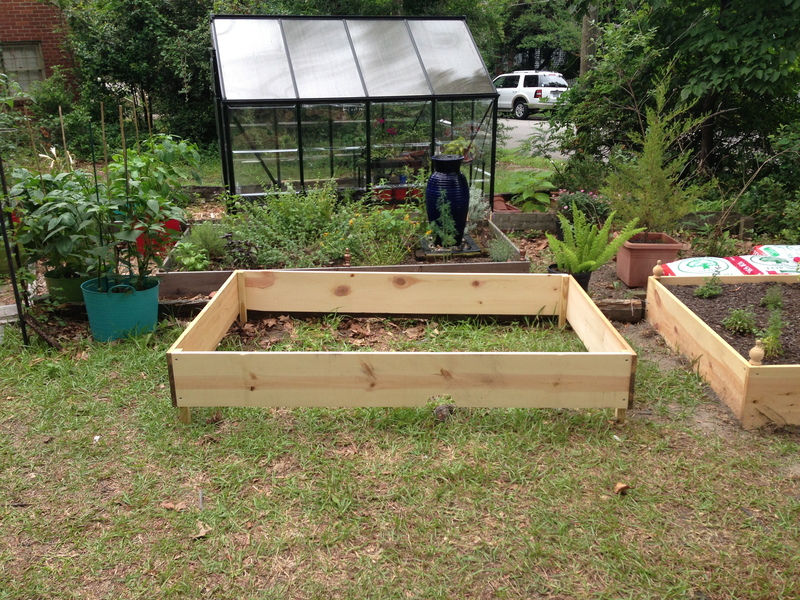 I am planning on removing all the ornamental plants from the original raised beds and planting them in this raised bed and the one to the right, in the picture. Next year I will remove most of the soil from the original beds and mix in a better quality soil and then give it another go with vegetables in the ground. The tomatoes and peppers are doing very well in the containers. I think this may be because I used a good quality soil so I want to try doing the same in the older raised beds. With the added growing space I am hoping to expand the variety of vegetables next year. I have been wanting an architectural element in the garden for sometime, but I have not been able to locate one. I have found things, but they tend to be thousands of dollars. Isn’t it always the case! 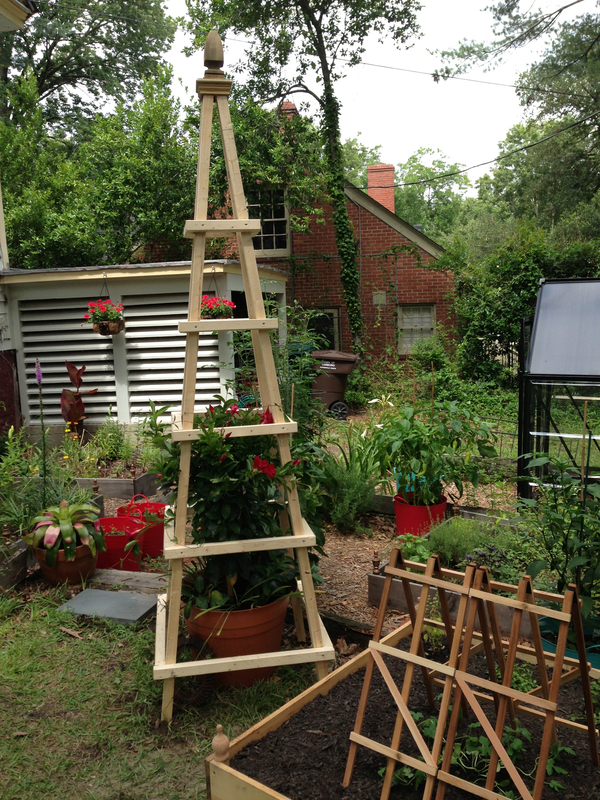 So I decided to construct an obelisk trellis. 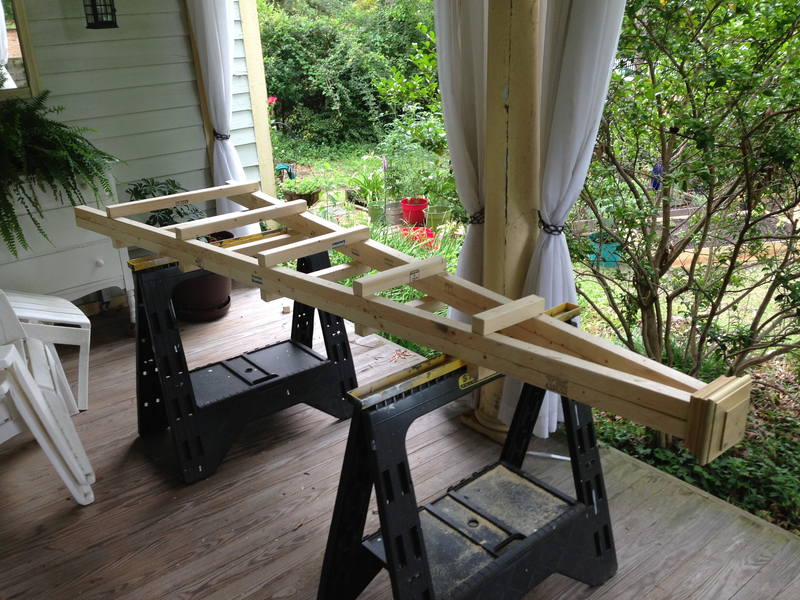 It wasn’t difficult to construct and it only cost around $30. The trellis is made of pine and held together with medal screws. 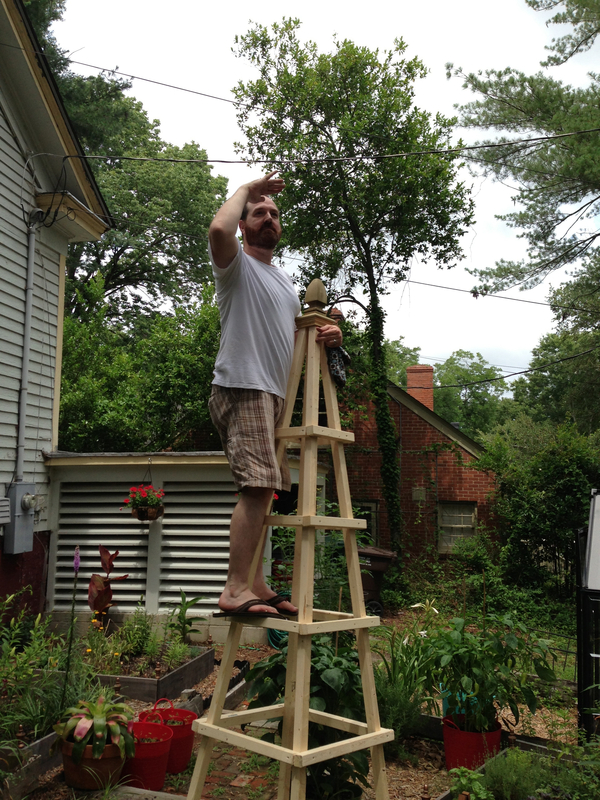 It stands 8′ 6″ tall and is topped with a fence finial. 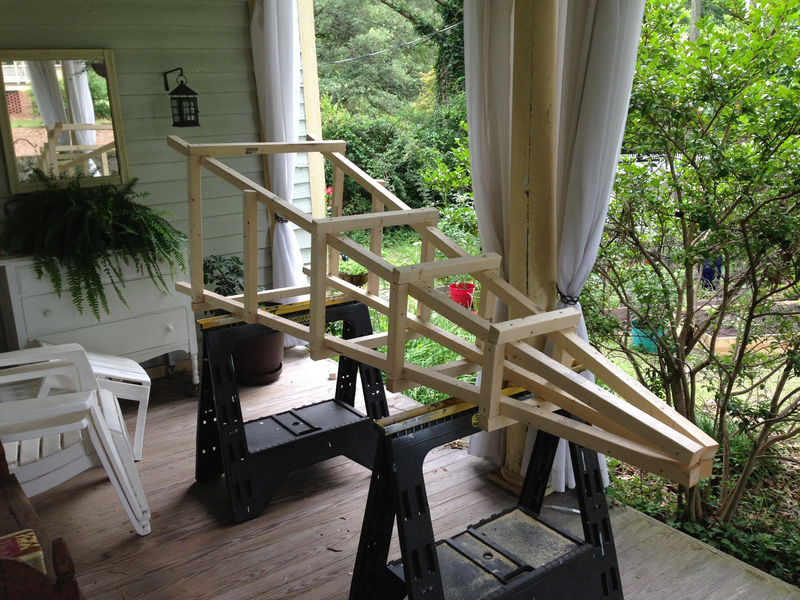 It’s also very sturdy! Looking for my ship to come in. Completed with a potted crimson mandevilla. The garden is really coming along nicely and there are bigger plans in the future. To be continued! I hope everyone had a good weekend.